If you’ve been wearing eyeglasses for years, you may be thinking about changing to contact lenses. 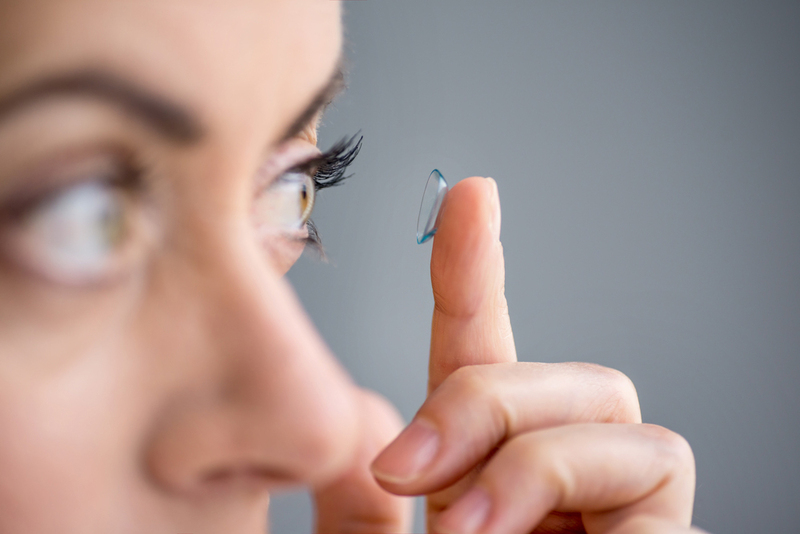 Contact lenses allow individuals to enjoy correction of vision problems, without the inconvenience of wearing eyeglasses that block side vision and often feel uncomfortable on the face. At Eagle Vision & Eye Clinic in Longmont, CO, we can provide lenses that are comfortable in your eyes and allow you to see clearly without glasses. Contact lenses are small disks of a number of different materials that fit into the eye and serve to correct the abnormalities of the cornea that cause visual distortion. They take the idea of the corrected lenses of eyeglasses and turn it into internal, wearable lenses that are more comfortable to wear and do not interfere with activities. Contact lenses are available in a variety of different types that suit particular needs. Soft lenses are made of a gel-like material that contains water. They are very comfortable to wear and are a popular choice for many wearers. Silicone hydrogel lenses are more porous than soft lenses and are also a popular choice for contact lens wearers. Gas-permeable lenses are more rigid and may be necessary for some types of vision correction. Toric lenses, which have different meridians of correction, are available for astigmatism along with nearsightedness and farsightedness. Multi-focal lenses offer different power zones for correcting presbyopia, the far-sightedness that commonly occurs with aging. You can also color lenses that provide a different eye color, scleral lenses that correct corneal abnormalities and UV-inhibiting lenses. During a contact lens fitting, vision tests will determine how much correction you require. Additional tests will be done to measure the corneal surface of your eyes to ensure a comfortable fit for your lenses. The right type of lenses for your needs will be determined. Trial lenses may be fitted to check for proper fit and moisturizing of the eyes. Your optometrist will also explain proper cleaning and care for your lenses. Make Eagle Vision & Eye Clinic Your Optometrist in Longmont, CO! The optometrists and staff at Eagle Vision & Eye Clinic in Longmont, Co provide individualized attention and professional care to ensure their patients enjoy good vision at all stages of life. We offer a wide range of vision care services, including eyeglasses, vision therapy and treatment of eye diseases. Make an appointment today with Eagle Vision & Eye Clinic at (303) 651-2020 to learn more about contact lenses and how they can help you to enjoy clear vision without glasses.